Cable RailGlass RailHorizontal RailWall RailsDoors & GatesMisc. 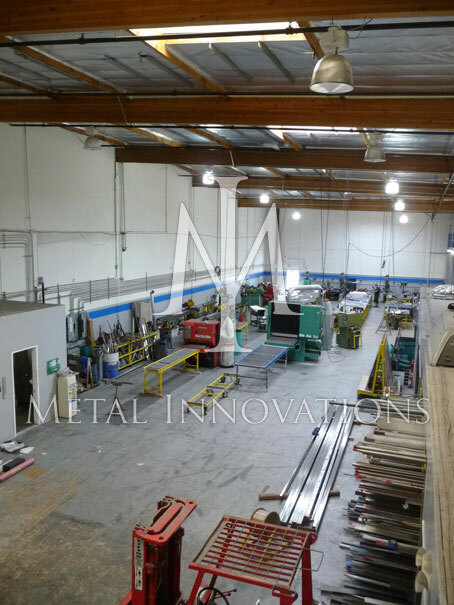 Metal Innovations provides custom, high-end, metal fabrication services to satisfy the architectural metal and ornamental metal fabrication and installation needs of both the residential and commercial industry. We offer a wide variety of custom metal fabrication and installation services designed to provide you with a “one- stop- shop” for your needs. Metal Innovations caters to the highest- end applications, utilizing demanding fabrication materials including stainless steel, brass/bronze, aluminum, architectural steel and glass including shearing, forming, welding, grinding, polishing, painting and laser cutting for virtually any fabrication application. As a leader in innovation, Metal Innovations can achieve designs to meet new applications or replicate any historical style in a variety of style. Metal Innovations is a family owned business established in 1996, quality and reliability are the standards we provide to our customers – architects, building owners, contractors and residential. Cable Rail | Glass Rail | Horizontal Rail | Wall Rails | Doors & Gates | Misc.